Stir all ingredients together in a slow cooker. Cover and cook on low for 8 hours overnight. In the morning, stir well and add milk, spices, or additional toppings to your liking. Slowly cooking steel cut oats overnight makes for the creamiest bowl of oatmeal to wake up to. Experiment with toppings and spices. 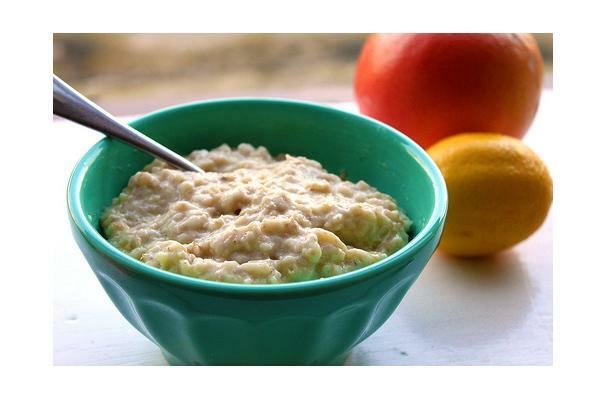 Note: Instant or old fashioned rolled oats should not be substituted, as they don't hold up to such a long cooking time. The butter should help to prevent some sticking, but inevitably a crust will form around the sides of the slow cooker pot by the end of the 8 hours. If you decide to halve the recipe, you should use a smaller, 2 quart slow cooker.